The most prevalent films in Japan could be roughly separated into two genres: hōga (Japanese films) and yōga (imported/international/foreign films). According to the Japanese dictionary Daijirin, yōga is understood as “films which were produced in Western countries. Also, the term could indicate foreign films in a broad sense”. 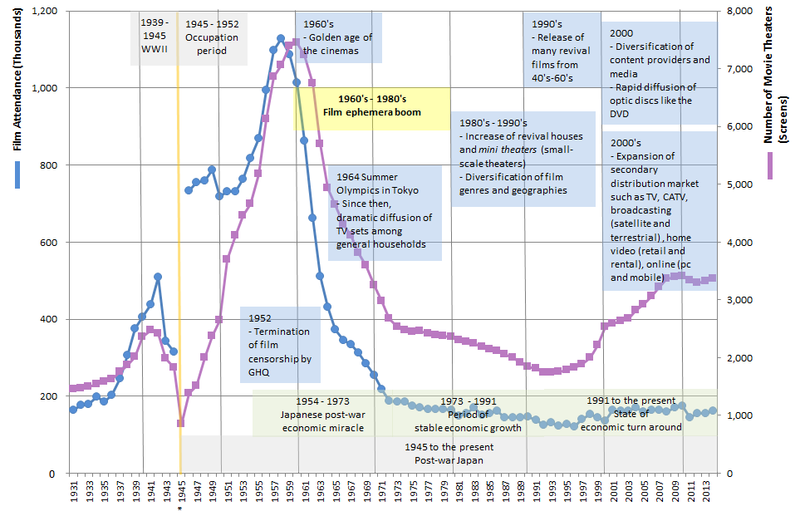 Right after World War II, films which were imported to Japan were overwhelmingly American and European. Therefore, most films, excluding domestic ones, were called yōga (yō=Western, ga =image/film). 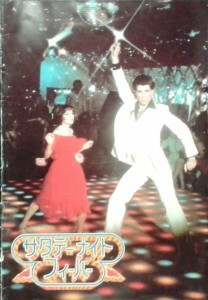 In the 1970’s, films from all areas in the world including Asian films began to enter the Japanese film market. Today, the Japanese film market is diverse; a myriad of film productions and distribution companies are multinational enterprises in the world market. In other words, films nowadays are the borderless product of multinational investments and productions. Therefore, the expression “yōga” is losing its intrinsic meaning, but it is still used as a term for foreign or international films in Japan. This entry was posted in Archival Collections, CLIR, East Asian cinema, film ephemera, film flier, film industry, film program and tagged CLIR 2013, film ephemera, Film Studies, hōga, Japanese film industry, Japanese Studies, Makino Mamoru, Media Studies, yōga on January 23, 2015 by Miki Masuda. The final phase of the project to make hidden treasures from the Makino Collection available to the public has started moving ahead. The Makino Mamoru Collection on the History of East Asian Film has been lauded for its scholarly value and awarded a generous grant from the Andrew W. Mellon Foundation, through the administration of the Council on Library and Information Resources (CLIR), as a Hidden Collections project. The final phase to make these hidden treasures available to the public has resumed. According to an initial survey, total number of materials in this collection reaches nearly 80,000 items. While approximately half of the entire collection has already been processed, the CLIR project consists of two main goals: to process the remaining film ephemera and catalog the rare books and monographs. The archival materials awaiting processing are mainly post-war film ephemera. Approximately 6,500 items in the “hidden collection” are to be arranged, described, and preserved in order to enhance access, expand research potential, and inspire new theories on East Asian Film. As is often observed in academic film studies, Japanese film scholars have had difficulty obtaining comprehensive research materials, which has undervalued the importance of collecting and preserving materials on this subject. 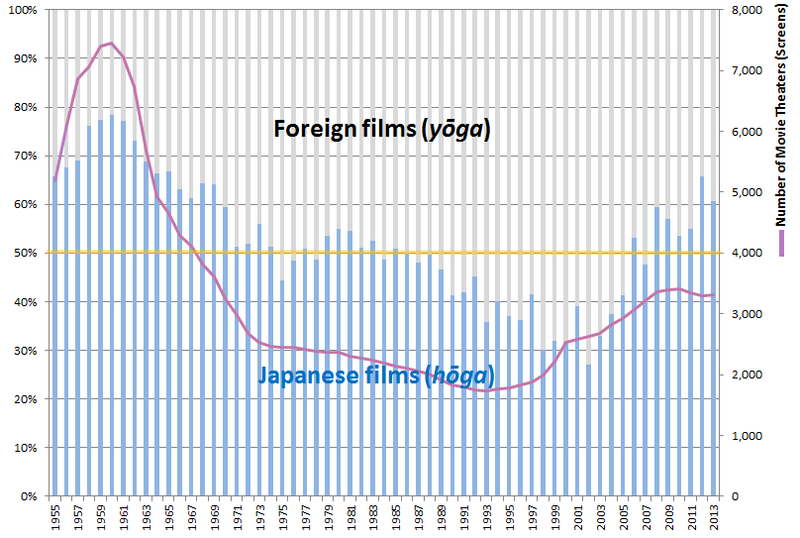 Unfortunately, this trend has moved the focus onto less valuable forms of media in the field of Japanese film studies. 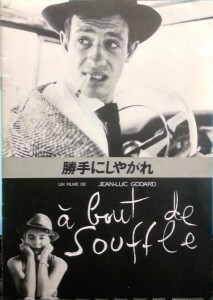 In a 2011 publication, the collector, Mr. Makino Mamoru explained the reason for the absence of academic resources, using a term, “le septième art [the seventh art],” coined by an Italian film theoretician, Ricciotto Canudo in 1911: “In the past, when discussing the culture or artistic genre of each period, film was long considered a sub-culture, and treated as le septième art, in contrast with existing traditional artistic fields such as literature, painting and music.” Because of this attitude, very few resources have been accumulated. 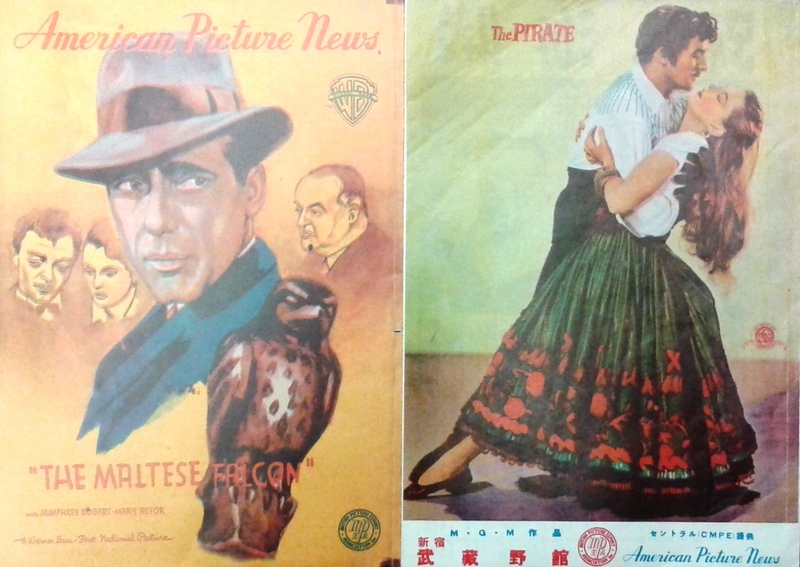 Moreover, collectors generally focus on film stills and posters, which represent the esthetic aspects of movies. 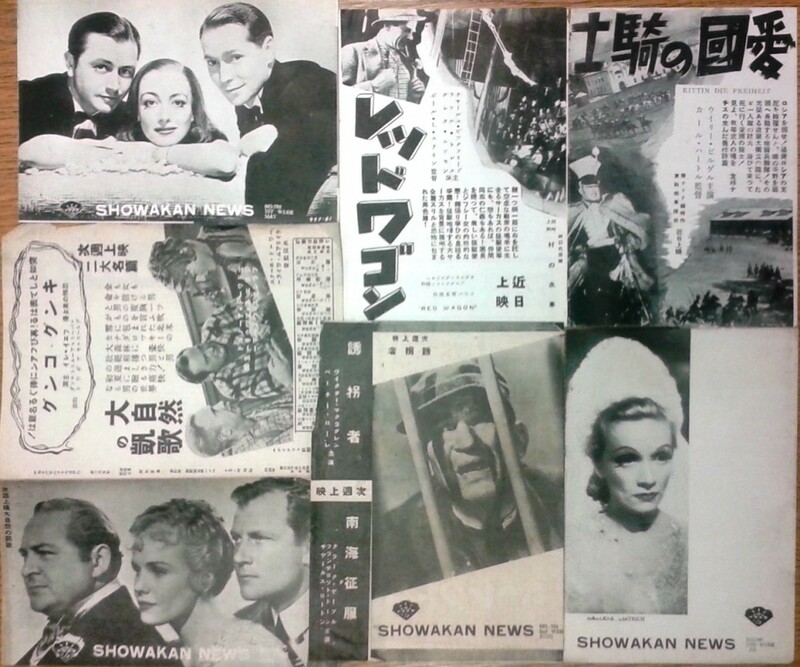 Aware of this issue, Mr. Makino has endeavored to collect print materials related to film history in addition to images. He decided that this vibrant print culture needed to be collected before being completely lost. This entry was posted in CLIR, East Asian cinema, film ephemera, rare books and tagged CLIR 2013, film ephemera, Film Studies, Japanese Studies, Makino Mamoru, Media Studies, rare books on December 10, 2014 by Miki Masuda. Mr. Makino and Mr. Sato Yo recently published a collection of Mr. Makino’s writings in the new book, Eigagaku no michishirube = An approach to film studies in Japan / 映画学の道しるべ = An approach to film studies in Japan. C.V. Starr East Asian Library was given a copy of this book and it is now available through our library catalog. For more information about this publication, see the brochure for the book by Bunsei Shoin. 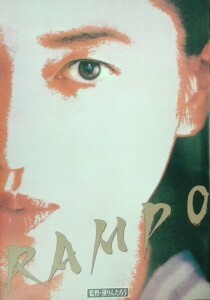 See also, Aaron Gerow’s December 2011 blog post, "Makino Mamoru, Film Studies, and Archiving." This entry was posted in Recent Publications, Uncategorized and tagged Bunsei Shoin, Film Studies, Makino Mamoru, Sato Yo on January 20, 2012 by Beth Katzoff.